Knautia arvensis. 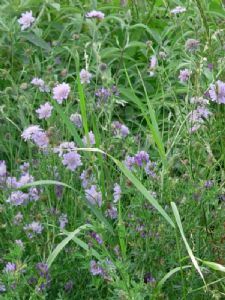 -the classic wild scabious that used to be seen in our country lane verges before they were cut too early. This one is grown from seed Jan collected from a hedgerow near Gellifor, Ruthin and has bigger and more flowers on sturdier stems and grows to about 1 metre; competes well in a meadow or border situation. It also gets through our wet winters much easier than the foreign showy garden varieties. Hardy perennial, clump forming. Nemophora metallica is a moth of the family Adelidae. It is found in Europe. Its wingspan is 15–20 mm. The moth flies from late June to August depending on the location. 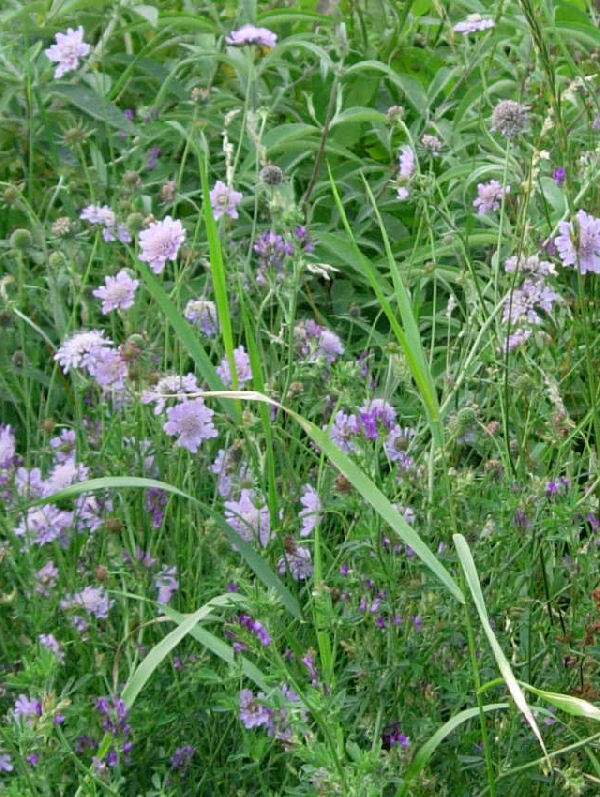 The larvae feed on Knautia arvensis and Scabiosa columbaria.